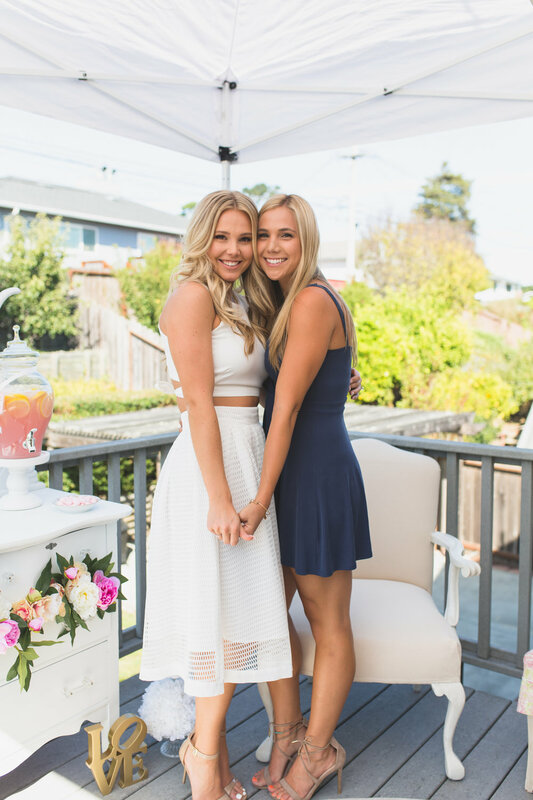 This past weekend Lexie had her bridal shower and it was AMAZEEE. You might recognize her from posts such as Dreamy Beach Engagement Shoot and Stuck In A Snowstorm, and might recall that I have the honor of shooting her wedding next June! 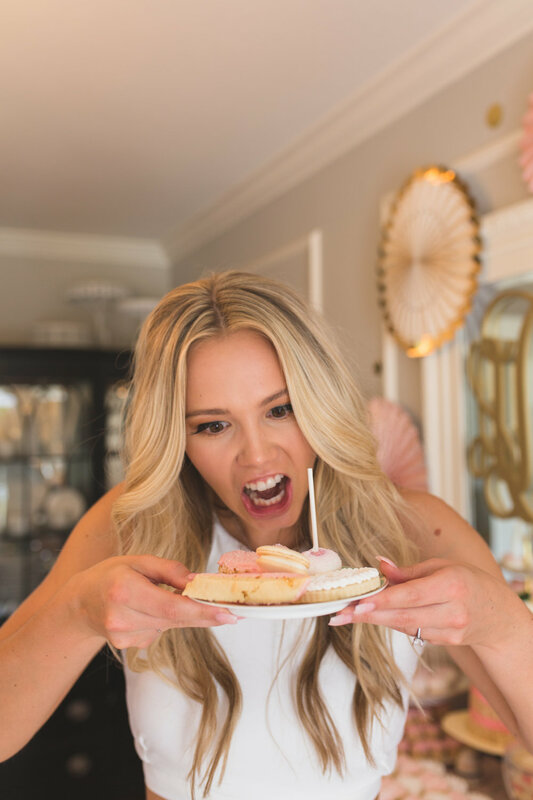 Lexie is the owner of a cute lifestyle blog and makes adorable cookies, so I already knew her bridal shower was going to be magazine-worthy. 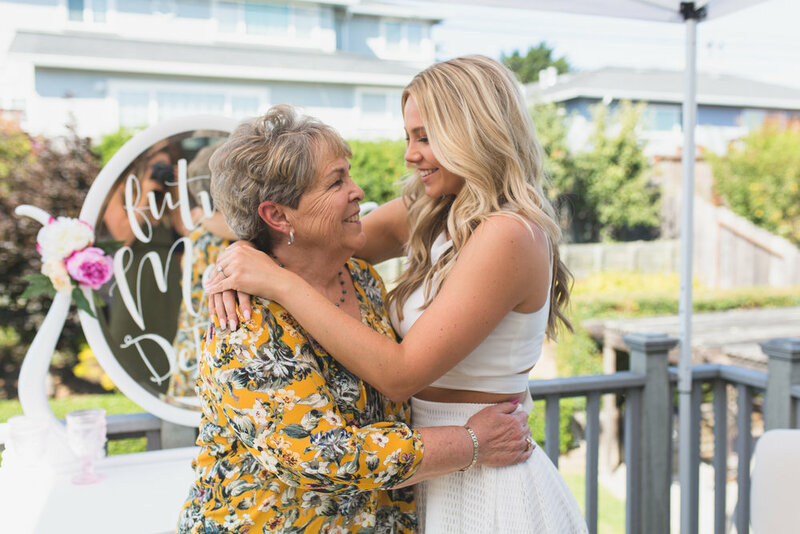 Her (superhero) mom, Cheryl, was up at 4am to finish decorating and baking the most delicious treats. 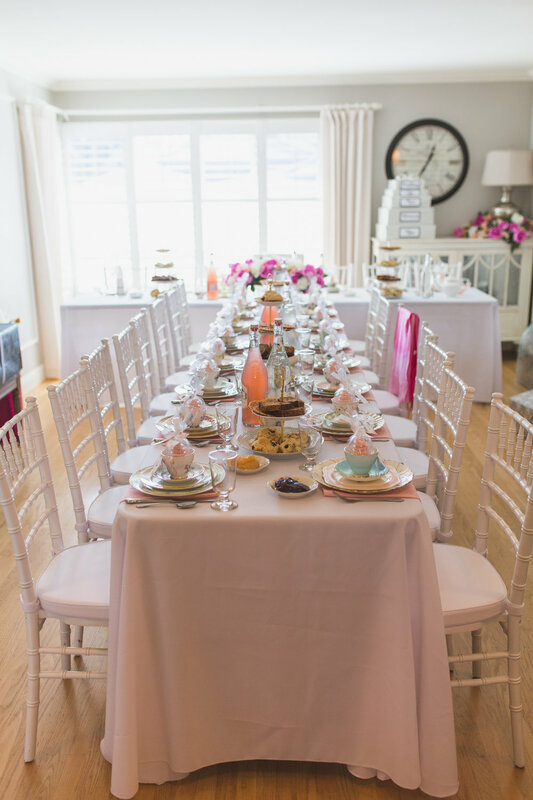 The theme was 'Pretty in Pink' and it was like a doll tea party had come to life! 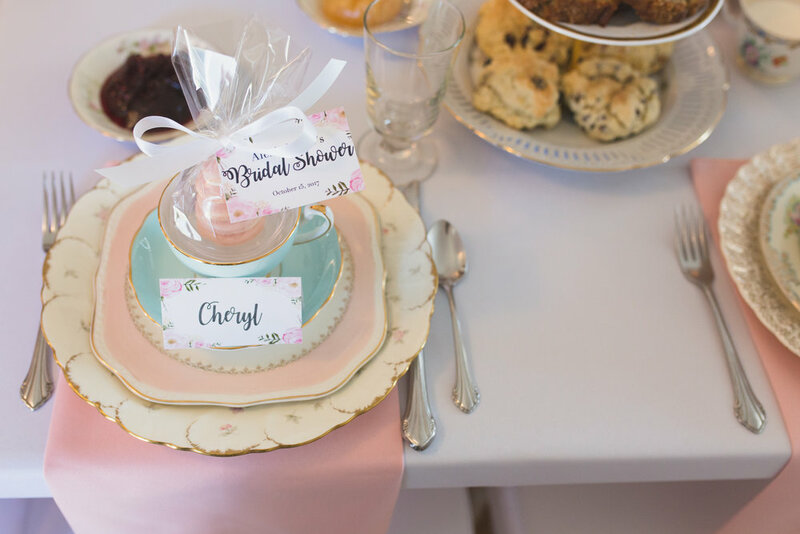 Each girl had a name-card set upon the prettiest china, with tea pots, scones and party favors scattered along the table. 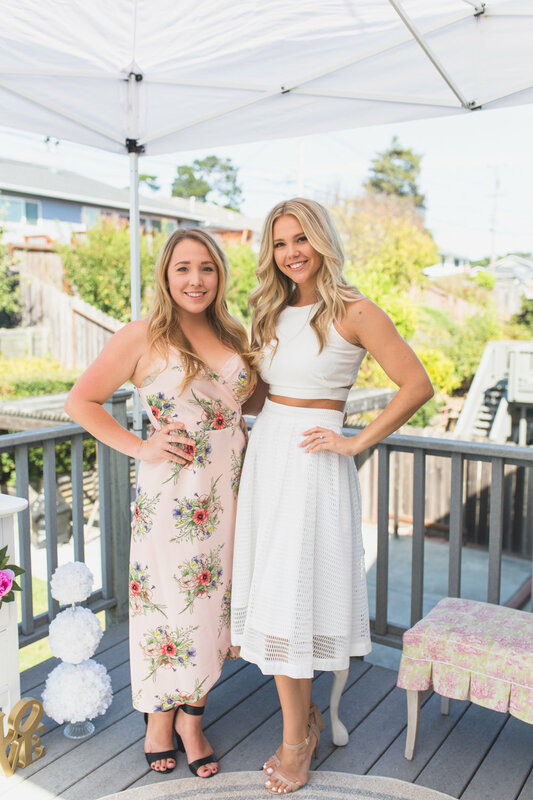 Once all the girls had arrived, Lexie made a grand entrance in a stunning white two-piece outfit, followed by her cousin and maid-of-honor, Camryn. Cheryl had prepared so many different delicious salads and sandwiches and you didn't have to ask us twice to tuck into the buffet. After we were done eating, it was time for some fun games about the bride and groom. We were each handed a questionnaire and a timer was set. Kaitlyn surprised everyone by beating Lexie's family members in the 'How Well Do You Know Lexie' quiz. We then played an hilarious game of he-said, she-said and everyone got a better insight of Lexie's soon-to-be husband, Brandon. When the games were finished, we all shamelessly snacked on some more cupcakes and treats and watched Lexie open her gifts. With a new house on the horizon, Lexie's gifts all had a common theme: gorgeous copper houseware. Her grandmother also gifted her a beautiful handmade quilt with some pictures from their engagement shoot and engraved were the words 'Always Kiss Me Goodnight'. Adorable. After the presents were done, we all moved outside to the balcony and sipped on some sangria in the perfect San Francisco fall weather. Overall it was such a beautiful day and just a taste of what her wedding will be like next June!